Dry and Clean, Max Steam! 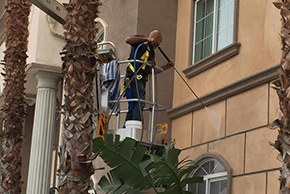 Max Steam in Santa Ana, California is a professional steam cleaning service that is dedicated to providing a clean environment for your home and business. Our services extend far beyond steam cleaning your carpets and furniture to window cleaning, stripping and waxing floors, pressure washing, tile and grout cleaning, plus so much more. Our staff is exceptionally trained for effective quality service that is scheduled for your convenience. We take pride in our business experience and expertise, offering you a 100 percent guarantee that you will be satisfied. Keeping your home and business in a clean state is important for your health and the environment, and it is a way to protect your investment. We have the best, state-of-the art cleaning equipment and tools, along with high-quality know-how to outperform the competitors in the Santa Ana locale. We can help you feel more relaxed in a healthier, cleaner home and business atmosphere while saving you time. Give us a call to set up an appointment and see how we can help you with all of your cleaning needs.